Watch full Naruto Shippuden Season 20 Episode 45 English Dubbed full HD online. Naruto Shippuden Episode 458 English Dubbed online for free in HD. While carrying out the Akatsuki’s mission, Itachi learns about Sasuke’s state of being, as well as learning of Naruto’s existence. He learns Sasuke has awakened his Sharingan, and learned Chidori from Kakashi. At a latter occasion, he questions Naruto about how he would measure the safety of the Land of Fire against Sasuke’s. Sasuke finishes reminiscing on Itachi’s memories. Meanwhile, back on the battlefield, the light of the Infinite Tsukuyomi fades and Sasuke dispels his Susanoo. Madara returns back to the ground and chastises the survivors, explaining why he believes Hashirama’s dreams were flawed, but before he can do much more, Black Zetsu suddenly stabs Madara through the heart. Exclaiming in shock, Madara begins to swell and huge amounts of chakra are drawn to his location. Sasuke and Naruto attempt to stop the plan from succeeding, while Black Zetsu explains that he has been waiting for this moment for aeons and that it is the will of Kaguya ÅŒtsutsuki. 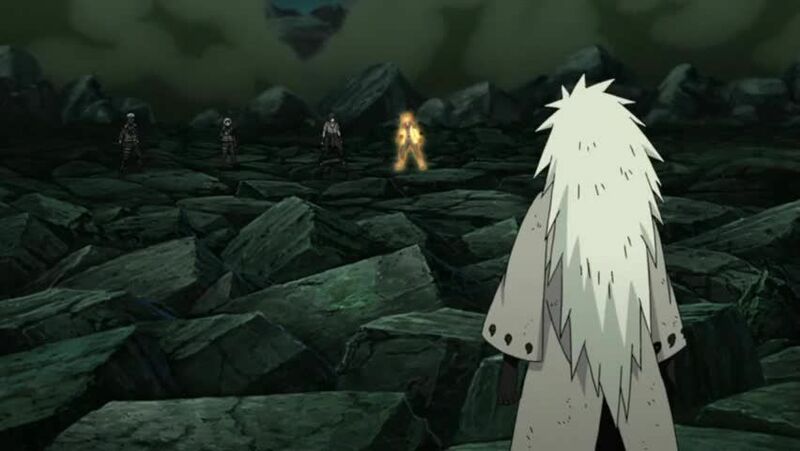 Madara asks why the tablet said the technique would calm all wars in the world, only to realize in shock that Black Zetsu had made revisions to the Stone Tablet and that he was merely a pawn for the revival. Just before he is swallowed, he dwells on his mistakes, before the swelling stops and Madara is replaced by the reborn Kaguya.